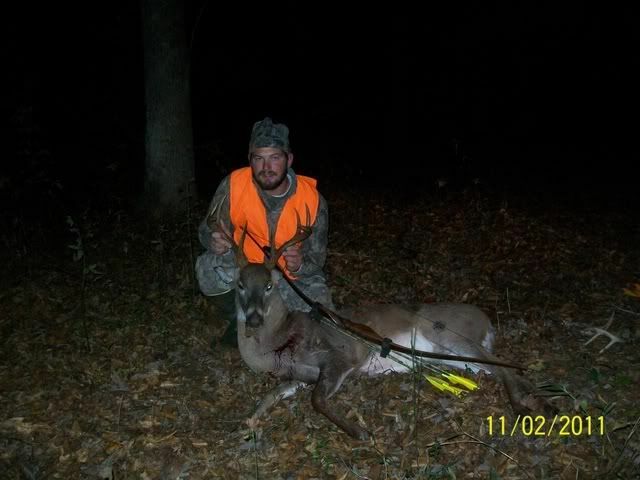 rattled in this 8 pointer last night. shot him with a longbow i made, a gold tip arrow and an old bear greenie. 18 yard shot 30 yard recovery. posted the full story over on the pow wow. Eric, that is awesome, especially with the bow you made yourself! Nice Job!! Way to go sir! Congratulations again! good deep south deer you got there.